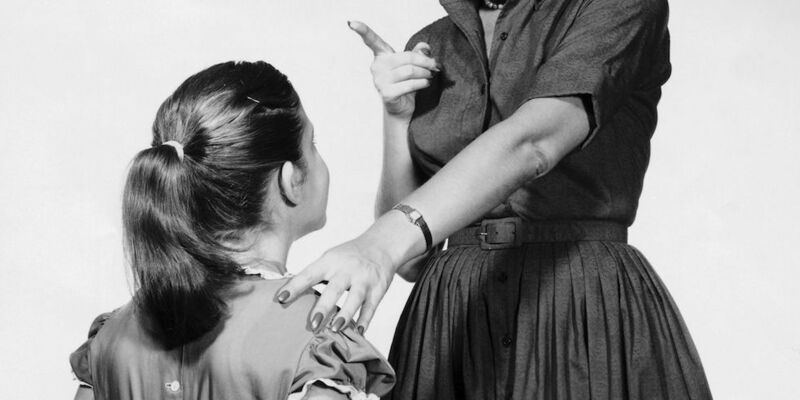 Do Nagging Mothers Lead to Successful Daughters? Scrolling through Facebook, I found some people had shared a link titled “Study Finds Girls with Nagging Moms Grow Up to Be More Successful”. Reading this, I thought it made perfect sense, but wondered what sort of study was done to prove this. The article published on Seventeen Magazine, and also numerous other online sources like goodhousekeeping.com, stated some basic information on the study that was done at the University of Essex. Finding that the article about this conclusion and study was published on tabloid sort of sources made me wonder how credible this conclusion was. The website articles always cited the study done at the University, but when clicking on the citation, it led me to the Institute for Social and Economic Research Page (iSER), with the name of the researcher, Ericka G. Rascon-Ramirez, and the publication date, 31 March 2015. There was no official scientific journal publication that was there, or possible to find on the Internet. The iSER website did leave a link to dailymail.co.uk, where they also wrote an article about the study, and went into more depth than the American published articles. 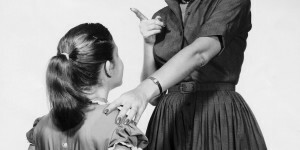 The study looked at the lives of schoolgirls aged 13 to 14 from a database of 15,500 pupils, and it was said that mothers appeared to be the parent with the greatest nagging power. In this study, the expectations of the daughter were measured by the “aspirations and beliefs about the likelihood of attending higher education reported by the main parent” (source 3). Next, the article takes a turn and suddenly talks about how “parents with high expectations can reduce a teenager’s chance of becoming pregnant by four per cent compared to parents with ‘middling aspirations’” (source 3). Reading this article and the little information on how the study was conducted left me feeling confused. This article should not be a study that is cited in magazine articles to support the claim that nagging mothers lead to successful daughters. There is a lot of data missing from this article, which leads me to believe that this is an empty claim and that the study was not accurate. Although there was a large sample size, there was no explanation about how the researcher knew there was causation or correlation between the two variables. In addition, I did a Google search on the researcher, Ericka G. Rascon-Ramirez, and did not find this study published anywhere else in an academic journal, and only found information on Ramirez from the Middlesex University of London, where she recently joined after studying her PhD in Economics at University of Essex. In the biography it does discuss her interest in research of the role parents play in children development, but does not talk about the study on nagging mothers. There also was a reference to teen pregnancy, which was not originally mentioned in the articles. Since Ramirez has a PhD, it seems like she can be a credible source, but her PhD is in Economics, which is not directly related to mother daughter relationships. I am unsure why this study is of interest to her. Although this study does not seem to have sufficient evidence to support its claim, there have been many other studies done to show the influences mothers have on their daughters. One aspect would be how a mother’s career choice or choice to not work effects what their daughter will do later in life. Diane Sholomskas and Rosalind Axelrod did this study from Adelphi University. They hypothesized “that women would enact roles similar to those of their mothers and that they would feel positively about themselves when the relationship with their mothers had been positive and their mothers were perceived as having been satisfied with their roles” (source 5). They had a sample size of 67 women from New York and New Haven metropolitan areas. The women were recruited from daycare centers and playgrounds. They had to follow a list of criteria. They used various methods to measure their self-esteem, including answering questions in an interview and using the Coopersmith Self-Esteem Inventory. After this process, it was seen that contrary to belief, “there was no direct relationship between the women’s primary adult role choices and their mothers’ primary roles” (source 5). The results from this study can show that our intuition is lousy, as discussed in class, which is why we need science. We need science to prove things right or wrong. As Andrew highlighted in class, we are very good at putting down other people’s views as wrong, but not seeing fault in our own beliefs. This is why doing research and conducting studies is so important, like Sholomskas and Axelrod did. In the first unreliable study, it was easy for Facebook users and people who skimmed through these magazines to believe this study was credible and that the headline was true, but that is just our intuition, and looking into it, the evidence was not completely convincing. Scientists work to find the truth. That is why it is important to question what may seem obvious, and consider if a study was done properly and actually shows real evidence. This entry was posted in Uncategorized on December 2, 2015 by Isabelle Torhus. Your blog topic immediately grabbed my attention and was definitely original. What was particularly refreshing about your blog was that you were strongly against the study conducted, for good reason. You did a great job at applying Andrew’s discussions in class and I am also convinced that this study was wrong. There is a lot of gray area like what does “nagging” even entail? Every mother has their own definition of it. In addition, the small age range of 13-14 is completely generalizing the ages of all daughters, which makes the conclusion invalid. There is definitely no reverse causation because it is impossible to prove that a daughter won’t succeed if her mom doesn’t nag her. I think that a better study would be to investigate pairs of mothers and daughters of all different ages and see what happens when the mother nags versus a mother who doesn’t nag. Hopefully from this we will be closer to some real correlations.